It's the season of giving, and as you know, finding a really special present sometimes takes a lot of shopping around. Here's a time-saving list of great gift ideas, many of which also make excellent housewarming presents. 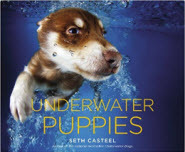 These fantastic underwater shots by photographer Seth Casteel have won worldwide acclaim. The book contains more than 80 photos, many of them featuring adoptable and adopted puppies from shelters, and would be an entertaining gift for virtually anyone. Price Range: Around $12 for hardcover. 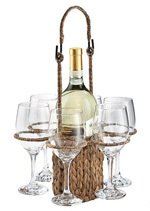 People rave about this attractive hand-woven wine tote that comes with six glasses. It allows for easier entertaining when wine needs to be served in different rooms or outside, and makes a nice decor piece when it's not being used. 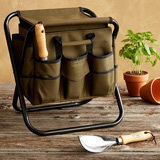 User reviews say it's sturdy and can be carried with the glasses filled as well. Price Range: Around $40 for the set. For BBQ lovers looking for a hassle-free way to clean the grill, this might be just the ticket. 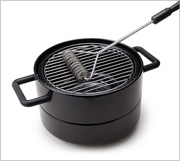 The self-contained springs are designed to clean any grill shape, and there's no danger of leaving behind metal bristles that could get into food. Users say it works well and is easy to clean. Each of these four tumblers is decorated on the front and back with stats for "impossible to beat" baseball records, making the glasses fun to read and easy to keep track of in a group setting. The shams carry the imprint of a baseball, complete with stitching. Price Range: Around $42 for the set. Simply select your bottle of wine or beer (or select the meal), and follow the grid to find the best pairing. These organic cotton tea towels are so nicely designed that many users say they've decided to have them framed and hung as decor. 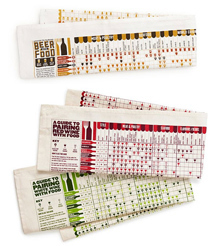 Price Range: Around $14 for the Beer Pairing Towel, $28 for the Red and White Wine Pairing Towel set. Unlike many cat toys that look like fun but hold less appeal than a paper shopping bag, the Laptop Scratching Post is apparently a big winner with felines, according to reviews by cat owners. Comes complete with mouse (of course) and laptop stickers. These whimsical "Best In Show" pint glass tumblers help dog owners celebrate the adventures of free-spirited pooches, with awards ranging from "Fashion Editor" to "Food Critic". Price Range: Around $35 for a set of four glasses. Note: Links to online shopping sources are included for efficiency's sake, but items may be available at various locations, including non-online stores. This is not intended to recommend any particular shopping resource. 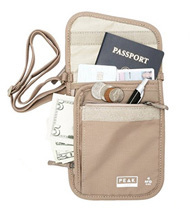 Item images courtesy of Amazon.com and UncommonGoods.com. - U.S. home prices rose 6.2 percent year-to-year in September, according to a recent S&P/Case-Shiller report. They rose 7.0 percent year-to-year in October, according to CoreLogic, a data and analytics company. The October Pending Home Sales Index dropped .6 percent year-to-year, according to the National Association of Realtors®. Animated videos showing how to tie virtually any knot that exists, along with explanations of when to use various knots. If travel to a Spanish-speaking country is on your agenda, this extremely versatile language teaching website might be a great resource to visit beforehand. Sometimes pooches prove that humans aren't the only ones who get caught looking awkward in photos. Click here or on the image to see candid canine versions of "Please delete that photo!" on The Dodo website.